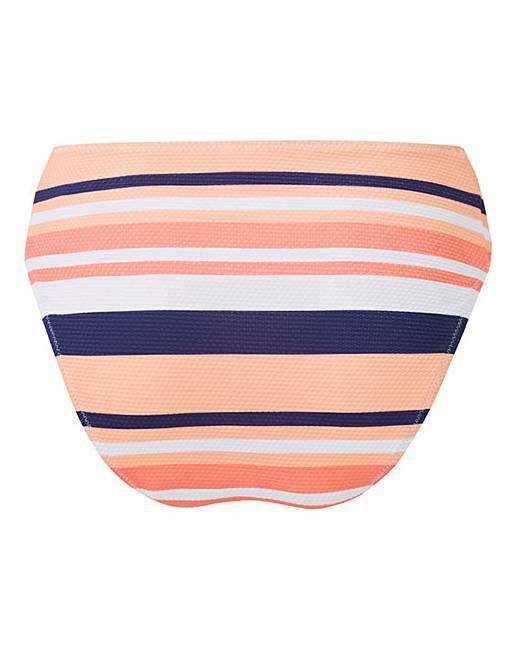 This textured eyelet detail bikini brief features a beautiful soft multi- coloured stripe. 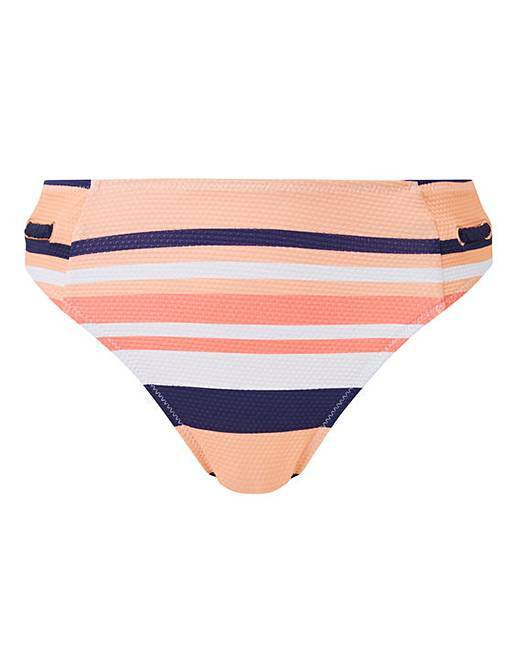 In a low rise hipster shape, this brief is perfect to pair with the matching tankini top or bikini top. Complete with eyelet and rope side panel detailing for an extra stylish edge.